Figure 1.7 shows the altitude dependence of the O, trend. In agreement with Figure 1.6, there is little change in O, over the equator. The Os trends increase as one moves away from the equator in both hemispheres. The large O, trend in the high-latitude southern hemisphere near 100 hPa is again due to the growth of the Antarctic ozone hole over the time period of the study. As predicted in the mid-1980s (see WMO , Chapter 13), there is indeed significant loss of O, in the upper stratosphere (-2-1 hPa, -45-50 km). As previously discussed, however, only a few percent of the O, column is found in the upper stratosphere, so significant reductions in O, in this region cause relatively small changes in column O,. 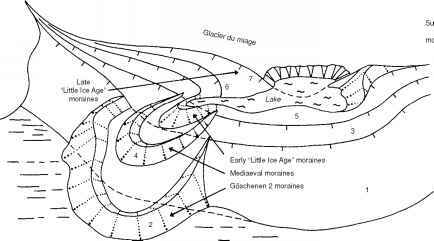 Instead, most of the column O, resides in the mid- and lower stratosphere, so it is the changes in (his region that primarily determine changes in the column. 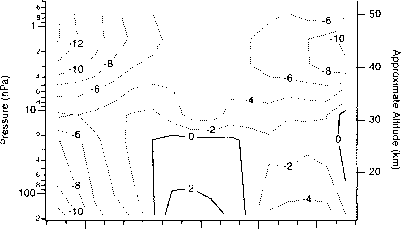 Figure 1.7 Contours of annually averaged O, trend (% decade ') measured by the Nimbus-7/SBUV instrument. The trend is calculated using data measured between 11/78 and 6/90 (see Hood et at. for details on the statistical model used).